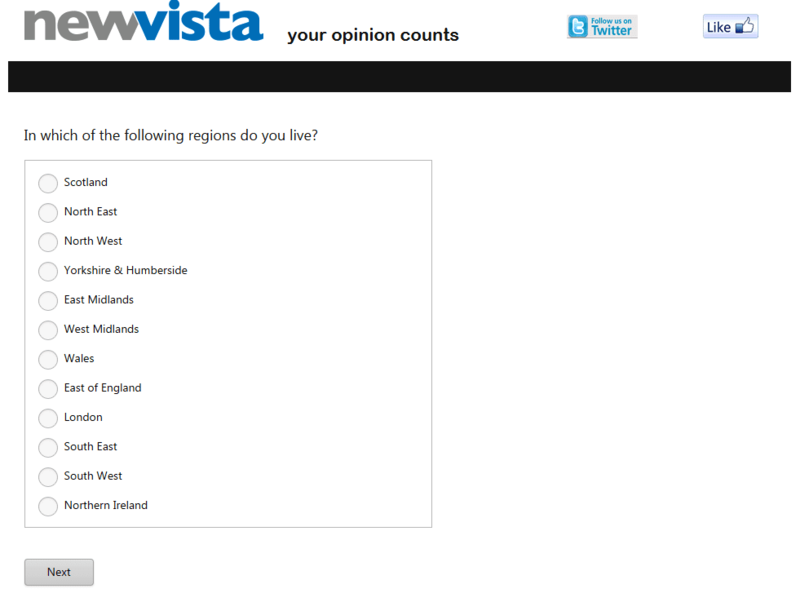 Newvistalive is the survey panel for English people. Any one from United kingdom above 16 years can join new vista alive. This is the best opportunity for online jobs seekers of England, Ireland, Scotland. New vista pay rate per survey is some what low compared to other survey panels and they pay in Great Britain pounds (GBP – £) not United states dollars (USD – $). 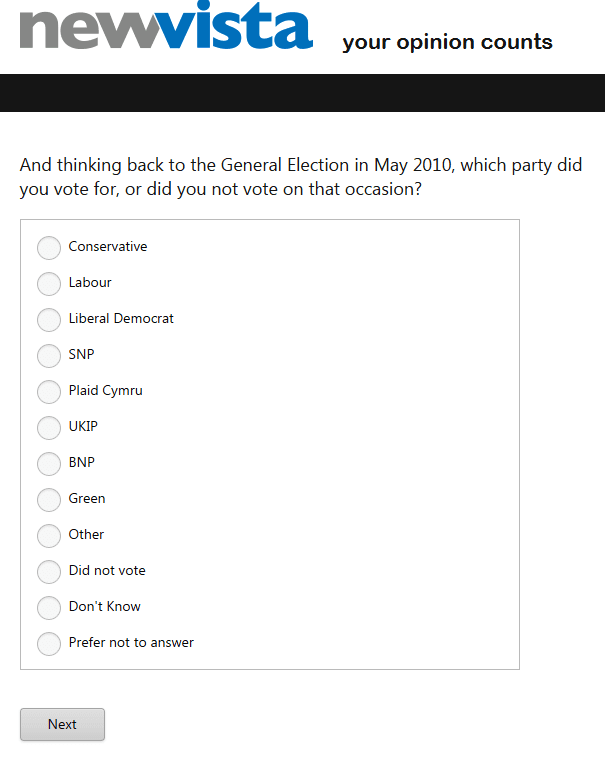 The surveys will be mostly about UK companies, people, society, products etc. Choose your desired username and password. Enter your correct name. Don’t cheat because you might get problem while cash out. 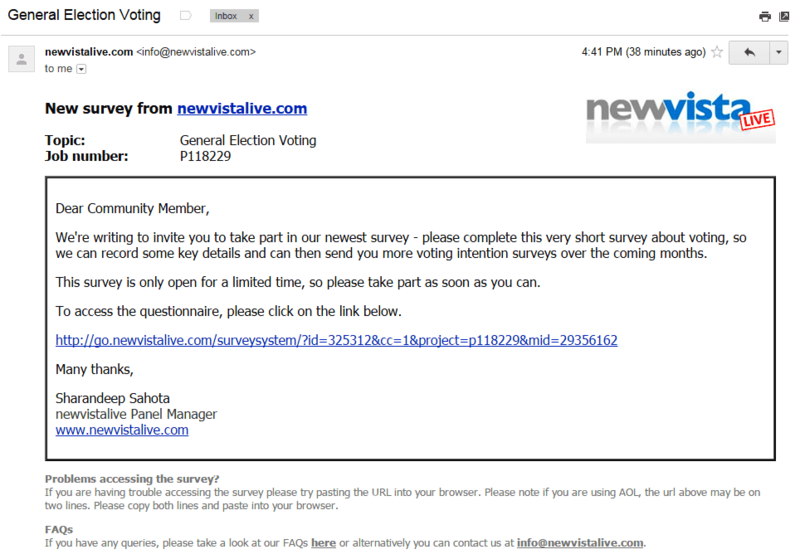 Enter your valid e-mail ID through which you will receive survey invitation. Once registration process completes wait for survey invitation. 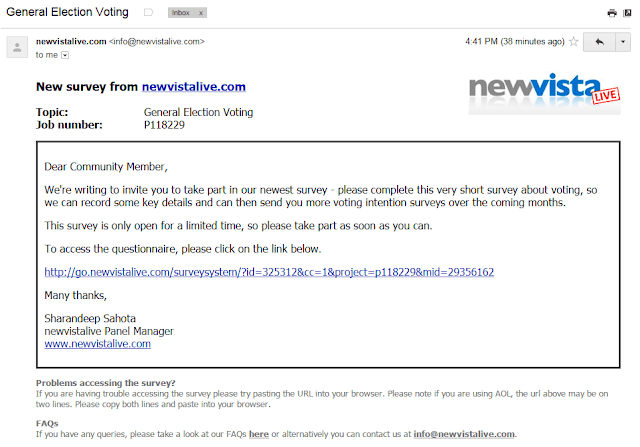 The survey invitation will be sent to your e-mail inbox as shown below. Click the link in the e-mail to participate in survey. This particular survey is about the election held in UK. Click the relevant answer and click next to answer next question. 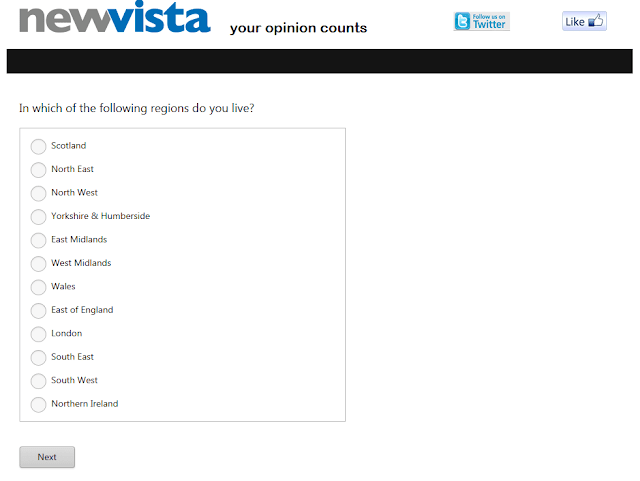 Most of the survey conducted by new vista will be easy and interesting as it will be about the home country. Just answer the simple questions like these and you will be rewarded with points once you complete the survey. The points will be automatically redeemed to cash once you reach the cash out level. 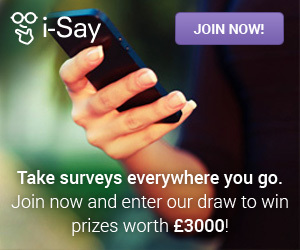 Related link – Top 10 best survey sites. As said earlier points will be rewarded for completion of surveys. 100 points makes a pound. Your earnings are processed only through cheque and you should accumulate at least 5000 points to withdraw your earnings. Once your account reaches 5000 points £50 will be paid through cheque. 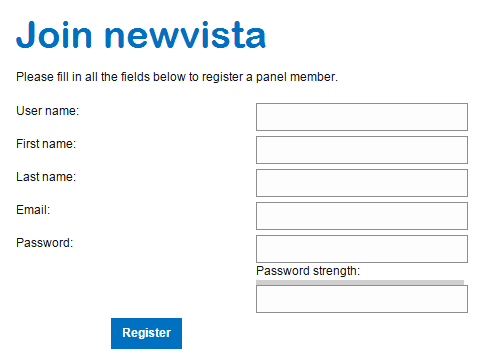 Tags: Genuine survey panel in UK, New vista live survey panel.